In India, the agriculture and the allied sector contributes less than 17% to its US$ 3 trillion economy today (Sunder, 2018). Average annual farmer incomes remain abysmally low at ₹77,976 (or US$ 1,128; Financial Express, 2018). In terms of land and labour inputs, nearly 50% of India’s land is tilled (Agriculture Census, 2015-16), and agriculture directly employs 41.1% of India’s working age population (World Bank, 2018). This low output to input ratio points to the huge systemic flaws in India’s agronomy that brings severe hardship to farmers and agricultural labourers, who bear the brunt of rising input costs, falling productivity, climate change, water scarcity, poor market access, technological stagnation, and so on. Although the agricultural predicament in India needs to be addressed at multiple levels, this article discusses the role of technology – in particular, artificial intelligence (AI) – in increasing agricultural output, and therefore, farmer incomes in India. Essentially, AI in agriculture is segmented into robotics, soil and crop management, and animal husbandry, and is designed to make farming easier, more accurate, more profitable, and more productive for the farmer. It is estimated that AI and connected farm services can impact 70 million Indian farmers by 2020, thereby adding US$ 9 billion to farmer incomes. In 2017, the global AI in agriculture market size was US$ 240 million, and is expected to reach US$ 1.1 billion by 2025 (Maher, 2018). Furthermore, issues such as population growth, climate change, and food security demand innovative ways to improve crop yield. Therefore, understanding the use of AI in agriculture becomes compelling. The world needs to produce 50% more food by 2050. However, only 4% of additional land will come under cultivation to meet this demand (Bagchee, 2018). AI holds the promise of driving an agricultural revolution at a time when the world must produce more food using fewer resources. This essay briefly discusses key applications of AI in agriculture along different stages of the cropping cycle that have the potential to pay dividends to farmers in efficiency gains and higher incomes. AI can be used to monitor soil health with the help of sensors, cameras, and infrared rays that scan the soil for its nutritional properties (Sennaar, 2019; Baruah, 2018). This also helps in understanding the reaction of specific seeds to different soils, the impact of weather changes on the soil, and the probability of the spread of diseases and pests (Irimia, 2016). With such data in hand, the efficiency of crop inputs is improved, leading to cost savings and productivity gains for farmers. Currently, an average of 207.56 kg of chemical fertilisers are used per hectare in Haryana annually (one of the highest among Indian states). Besides being costly for farmers, fertilisers also introduce harmful substances into the food chain through crops and the water table (Indian Fertiliser Scenario, 2013). Case Study: AI-backed soil health monitoring used in Raleigh, North Carolina, USA, led to huge efficiency gains in the use of agro-inputs by cutting the use of chemical fertilisers by nearly 40% (Sennaar, 2019). Furthermore, the spatial analysis capabilities of geographic information system (GIS) technologies helps in efficient water management during irrigation. For instance, in Alfalfa in Riverdale, California, GIS technologies in irrigation helped increase the per acre crop output by up to 37.5%, and reduced water usage by 20% (Fictchett, 2013). Therefore, AI in analysing and monitoring soil health helps to improve the sustainability of a given piece of arable land. AI in crop sowing is used essentially to drive predictive analytics to determine when and how to sow. It helps in making predictions on the right time to plant, apply fertilisers, harvest, bale, till, etc. based on climate data, historical conditions, market conditions for inputs and outputs, personal information, and so on. Crops can also be sowed using AI-aided machinery at equidistant intervals and at optimal depths. Case Study: In 2016, Microsoft, in partnership with ICRISAT (The International Crop Research Institute for the Semi-Arid Tropics), initiated a pilot project in Devanakonda Mandal in the Kurnool district of Andhra Pradesh. The pilot had a sample base of 175 farmers who were alerted on their mobile phones about suitable cropping dates, land preparation, and soil test-based fertiliser utilisation. This helped increase crop output by around 30%. In 2017, this project was expanded to cater to approximately 3,000 farmers in Karnataka and Andhra Pradesh during the Kharif cycle for a host of crops like groundnut, ragi, maize, rice, and cotton, among others. The increase in crop yield following the AI intervention ranged from 10-30% across all crops (Nagpal, 2017). Therefore, AI in crop sowing has the potential to increase per acre crop output as well as decrease input costs for farmers. Average losses of up to 90% of the total crop production have been reported due to the infestation of weed (Meena, 2015). Similarly, average losses of up to 19% have been reported due to pests (Dhaliwal et al., 2015). This leads to a greater use of pesticides, further contaminating the soil and groundwater. As of today, there are 250 identified species of weeds which have become completely resistant to herbicides (Sennaar, 2018), presenting a severe threat to the sustainability of crop production. Pesticide resistance is also on the rise. The purchase of insecticides and pesticides contribute approximately 5% to the total cost inputs in agriculture, and this cost is on rise both in percentage and absolute terms (Price Policy for Kharif crops, 2017-18; Price Policy for Rabi Crops, 2014-15). Case Study: AI helps to optimise on weed and pest management by reducing up to 80% of weedicides and pesticides used currently (Sennaar, 2019). According to a Bloomberg report (2018), a project was undertaken by the Blue River Technologies (now under John Deere & Co.) to evaluate the effectiveness of AI-supported weed controlling technologies. The ‘See & Spray’ technology tested under this project in Marianna, Arkansas, USA, reduced the expenditure on weedicides by around 90% reducing the need for weedicides used per acre from 20 to just 2 gallons (Little, 2018). Therefore, AI finds great application in precision weed and pest management. An estimated 40% of annual agriculture costs go into the employment of labour, predominantly for sowing and harvesting (Sennaar, 2019). AI-enabled robots for harvesting can lead to huge cost savings by reducing the need for approximately 4 agricultural labourers per acre of land (Panpatte, 2018). Furthermore, crops can be sorted according to pre-identified grades at the time of harvest, saving time and enhancing the quality of crops. However, AI is likely to change the way labour is employed in agriculture. Although conventional manual jobs will be replaced, AI presents new opportunities for job creation. Case Study: AI-enabled robots are being widely deployed on tomato farms in Japan, and have reduced the on-field labour time by 20% (Panasonic, 2018). Therefore, AI-enabled robots for crop harvesting save the resources of labour and time for farmers. Policymakers have not yet been able to tackle the agricultural supply chain challenge. On the one hand, farmers either do not receive a suitable price for their produce that continues to rot in mandis (or marketplace), and on the other, food consumers either end up paying exorbitant prices or are malnourished. Although AI in agricultural supply chain management is yet to make major inroads, its informed application in supply chain planning and optimisation, including demand forecasting and logistics, can lead to huge cost savings for farmers, and solve the information asymmetry problem for buyers. Case Study: Platforms like Jivabhumi’s ‘Foodprint’ aggregates and traces farm produce, and offers a digital marketplace. It uses blockchain technology to connect farmers and institutional buyers via an efficient and traceable supply chain (Baruah, 2019). Therefore, AI has the potential to improve the agricultural supply chain efficiency and reduce spoilage. Unquestionably, the agricultural sector needs a greater impetus from policymakers in addressing the aforementioned challenges. This essay suggests AI as a possible way forward in increasing the economic and environmental sustainability of agriculture. Certainly, AI is not without its own shortcomings. For instance, temporal data collection challenges exist. As of today, AI in Indian agriculture is yet to penetrate to the small and marginal farmer. AI runs the risk of further increasing economic inequalities between large landholders and small landholders and landless labourers. Therefore, any policy measure on this front needs to be carefully designed and implemented. 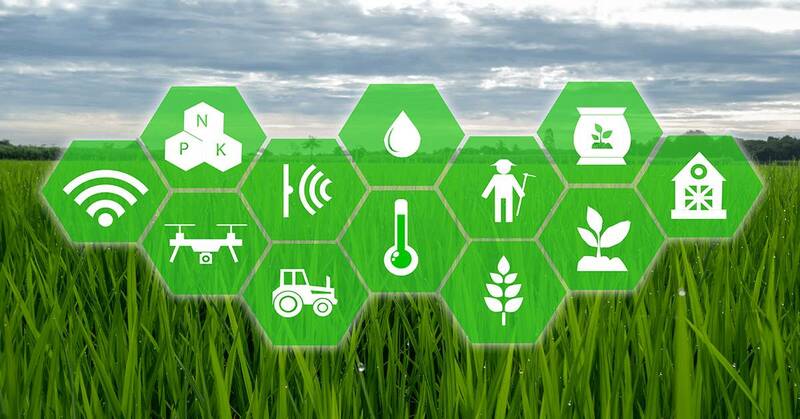 It is important for the private and public sectors to collaborate in making AI and other technologies in agriculture affordable and properly understood by the end users – the farmer. Dhaliwal, G.S. & Jindal, Vikas & Mohindru, Bharathi. (2015). Crop Losses due to insect pests: Global and Indian Scenario. Indian Journal of Entomology. Indian Fertiliser Scenario (2013). Department of Fertilisers, Ministry of Chemicals and Fertilisers, Government of India. Irimia, Madalina (2016). ‘Five ways agriculture could benefit from artificial intelligence.’ AI for the Enterprise, IBM. Meena, Ram Swaroop. (2015). 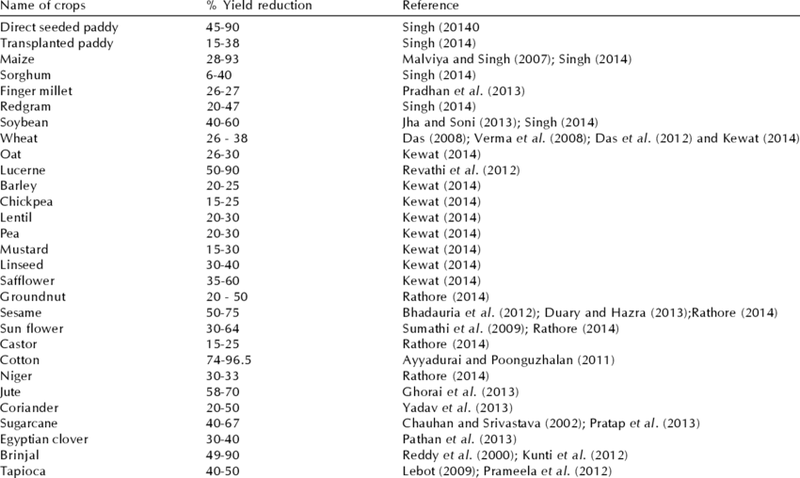 ‘A Review of Weed Management in India: The Need of New Directions for Sustainable Agriculture’. 10. 253-263. ‘Price Policy for Kharif Crops’ (2017-18). Commission for Agricultural Costs and Prices, Department of Agriculture, Cooperation and Farmers Welfare, Ministry of Agriculture and Farmers Welfare, Government of India. ‘Price Policy for Rabi Crops’ (2014-15). Commission for Agriculture Costs and Prices, Department of Agriculture, Cooperation and Farmers Welfare, Ministry of Agriculture and Farmers Welfare, Government of India.